Bone marrow transplants, also known as hematopoietic stem cell transplants, are life-saving treatments for aggressive diseases, such as leukemia and multiple myeloma, and infections such as HIV. The procedure entails infusion of blood stem cells from a matched donor into the patient to 'reset' the blood and immune system. Immune cells develop from blood stem cells that are reside in the bone marrow. In order to treat the disease and prevent the patient's body from rejecting the transplanted cells, patients undergo intensive conditioning, which involves administration of chemotherapy and radiation. However, the conditioning regimen also significantly compromises the functioning of normal cells in the bone marrow, and therefore compromises their ability to regenerate the immune system. This includes a reduced ability to generate T-cells, and causes profound long-term post-transplant immune deficiency, increases the risk of opportunistic infectious diseases and immunological complications such as graft-versus-host-disease. "T-cell deficiency and dysfunction is a life-threatening challenge, especially in transplant settings," said David Scadden, the Gerald and Darlene Jordan Professor of Medicine and Co-Director of the Harvard Stem Cell Institute, and co-senior author on the paper. "Our research demonstrates a simple to administer, off-the-shelf solution that can enhance T-cell regeneration after stem cell transplantation." "We have shown that the idea of creating cell factories in the body can be used in the context of stem cells for regenerative medicine," said David Mooney, the Robert P. Pinkas Family Professor of Bioengineering at the Harvard John A. Paulson School of Engineering and Applied Sciences, and co-senior author on the paper. Mooney is also a Core Faculty Member of the Harvard's Wyss Institute for Biologically Inspired Engineering. 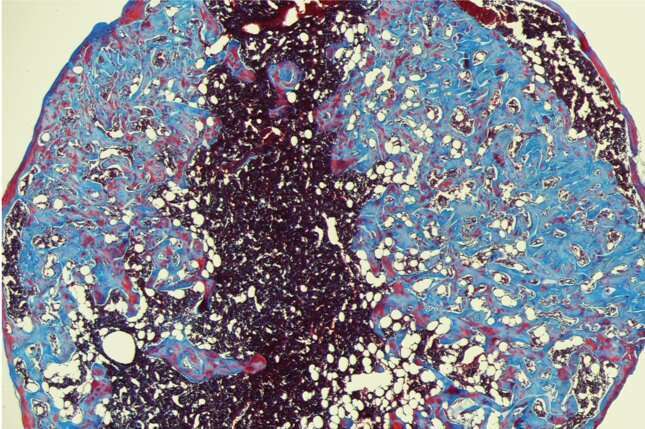 "Our goal was to enhance the production of these cells, which are like the entry product to the foundry that produces T-cells, by creating a little bone marrow-like environment," said Scadden. 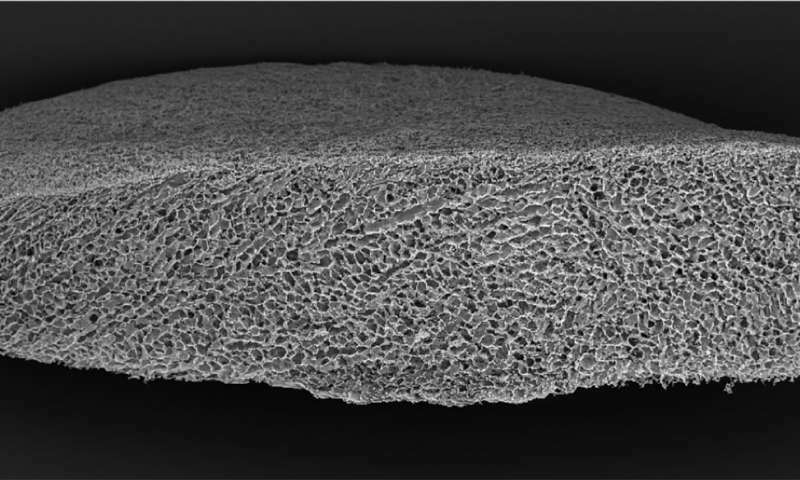 Drawing upon the Mooney Lab's pioneering research in the development of biomaterials for providing cell-instructive cues, the researchers engineered a sponge-like cell factory, with large pores that allows cells to move in and out. The sponge has two built-in proteins, one that recruits outside cells and the other to create the T-cell progenitors. The first, called bone morphogenetic protein 2, recruits local cells and encourages them to become bone cells. Once the sponge resembles vascularized bone marrow, the second protein encourages the blood stem cells living in the device to produce T-cell progenitors. "We also found that not only are we enhancing the rate at which these T cells form after transplant but we are also increasing the diversity in the types of T cells that are formed," said Nisarg Shah, a former postdoctoral fellow and the lead author on the paper, who is now faculty member at the University of California, San Diego. "So, we are improving not only the number of T-cells but also, potentially, the breadth of pathogen recognition capabilities and protection." 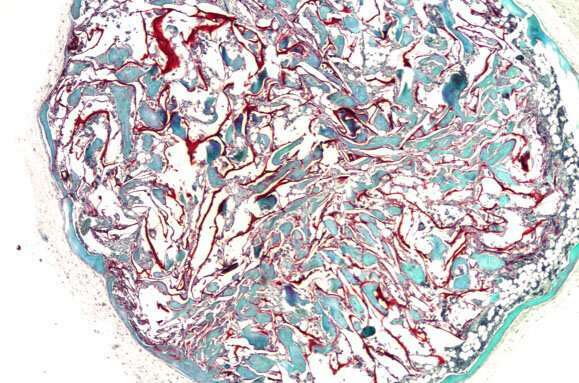 The researchers also found that in mice with the implanted scaffold, the frequency of graft versus host disease, in which donor cells may attack the patient's healthy tissues and organs, was significantly reduced. "The prospects here are exciting," said Bruce Blazar, Professor of Pediatrics in the Division of Blood and Marrow Transplantation at the University of Minnesota, who was not involved in this study. "A major limitation of hematopoietic stem cell transplantation is the inability of the recipient to rapidly regenerate T-cells to mount an immune response against foreign antigens. Using a biomaterial-based cryogel scaffold, Drs. Shah, Mooney and Scadden have offered a pathway to solving this obstacle by providing an implantable 3-D system and key ligands for recruiting supporting cells and inducing T cell lineage fate and differentiation resulting in improved T cell recovery after transfer of mouse or human cells." "The ultimate goal is to make this into a product that physicians can prescribe and use," said Scadden. "This is a very nice study in which the authors developed a novel gel that is very easy to administer and at the same time has the ability to enhance T cell regeneration after hematopoietic stem cell transplantation," said Robert Langer, Professor of Chemical Engineering at MIT who was not involved in this study. "I expect with further work this could become a useful therapy for patients. "